Madrid, Dec 6 (IANS) Brazilian midfielder Casemiro and Spanish central defender Nacho Fernandez made Real Madrid's FIFA Club World Cup roster on Thursday, although both have sustained injuries this season. Nacho suffered a right knee injury in Madrid's 4-2 La Liga win over Celta Vigo on Nov. 11 and was initially expected to be sidelined for nearly two months, but his recovery seems to be ahead of schedule, reports Efe news. 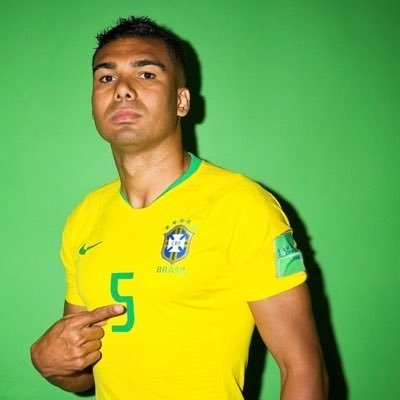 Casemiro, meanwhile, sprained his right ankle during the same match and he was expected to be out of action for six weeks, but his recovery has been faster than expected. Vinicius Junior, who has been playing for both Real Madrid's first and reserve teams, was included in Real Madrid's roster for the tourney, which is scheduled to be held between Dec. 12-22 in the United Arab Emirates. Although Jesus Vallejo had fully recovered from his muscle injury and was included in his team's squad for Thursday's clash against Melilla in the second leg of the Spanish Cup round of 32, he was left out of the World Cup list, as was goalkeeper Luca Zidane.